Immediate: During a faceoff, this card becomes involved in the faceoff. At the end of The faceoff, retire this card. 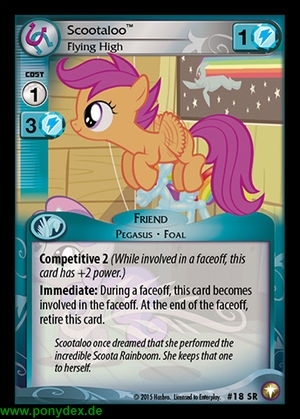 Scotaloo once dreamed that she performed the incredible Scoota Rainboom. She keeps that one to herself.